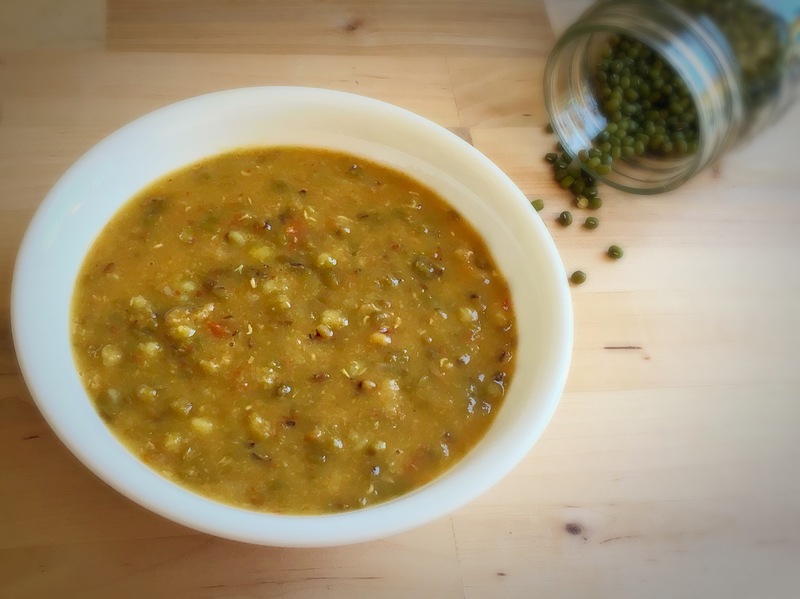 Green chana or Hara chana or choliya is one variety of chana from the legume family that is light, little sweet and yummy to taste like any other desi chana. This chana is green in color as it is picked at a much earlier stage hence not artificially colored. So I was totally unaware of any facts about green chana and dint know one such chickpeas existed, I happened to see it in an Indian store and picked it up. 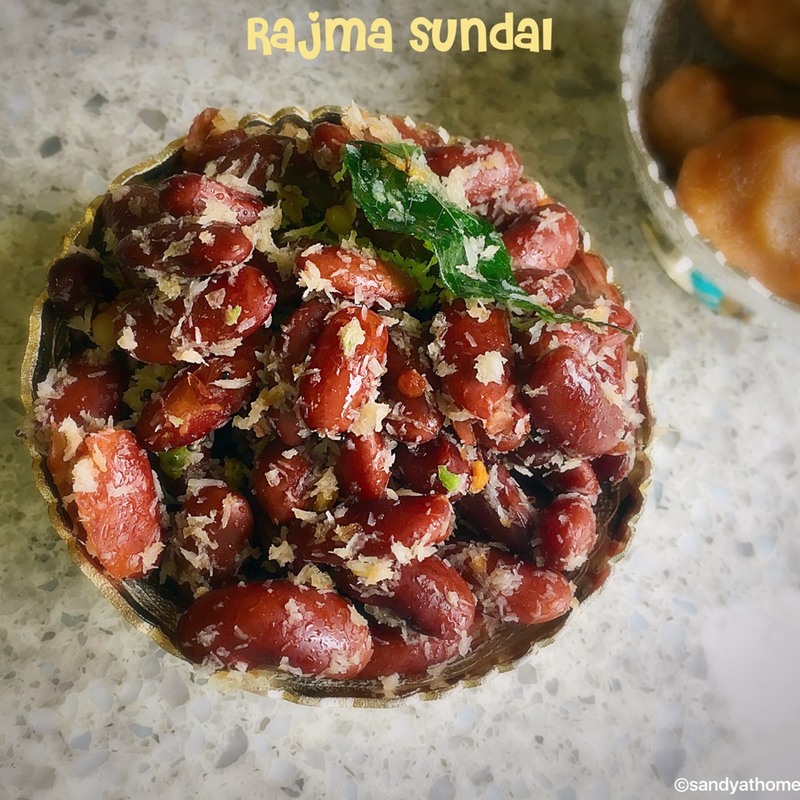 And when I told about this to my best friend Sneha she had told all about its goodness, about its harvest and much details and reminded of Navaratri recipes for this year. So many many thanks to her. 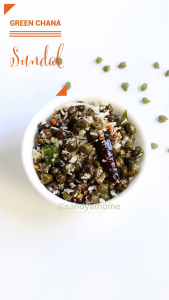 So here is a simple yet delicious sundal recipe for this navaratri. 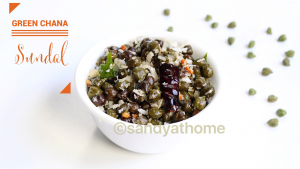 A preparation similar to regular black chana/ white chana sundal. So lets get to the making! Wash and soak green chana overnight. Pressure cook it for 2 to 3 whistles in water adding salt. Drain the water and keep the chana aside. 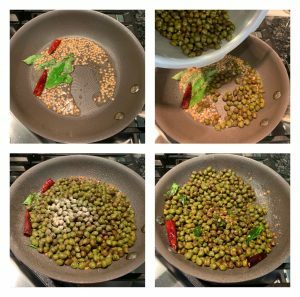 Heat oil in a pan add mustard seeds after it splutters, add urad dal after it turns golden brown add dried red chili, curry leaves and hing. 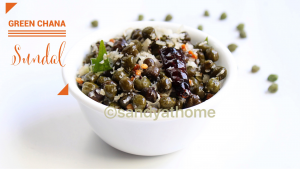 When flavorful add cooked green chana and salt if required. Mix well and after few seconds add grated coconut , Mix everything well and put off the flame and serve it! 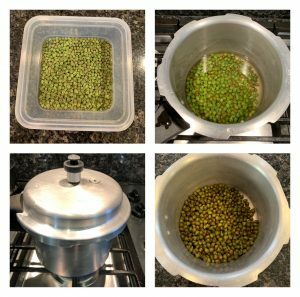 Wash and soak green chana overnight. Pressure cook it for 2 to 3 whistles in water adding salt. Drain the water and keep the channa aside. 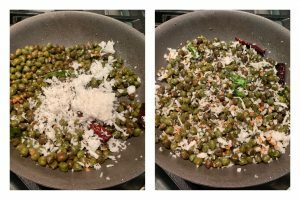 Heat oil in a pan add mustard seeds after it splutters, add urad dal after it turns golden brown add dried red chili, curry leaves and hing. 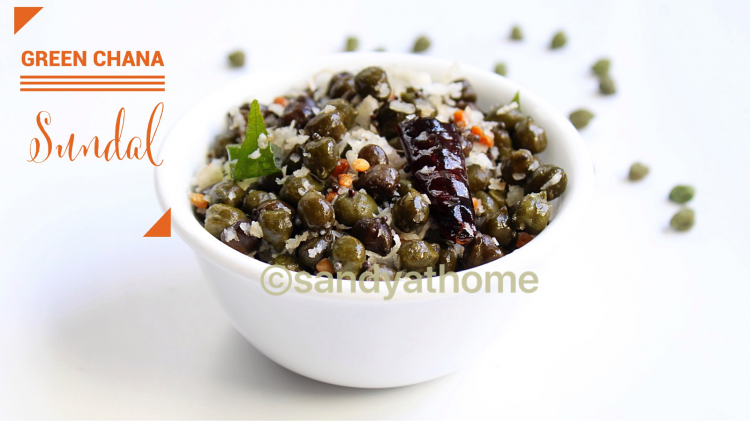 When flavorful add cooked green chana and salt if required. Mix well. Now add grated coconut , Mix everything well and put off the flame and serve it!